After gaining an HNC in Horticulture, Martin MacAskill set up 4 Season Gardens in 2004. As the business grew, 4 Season Gardens remained a friendly, personal and reliable local company, taking pride in their work and establishing an excellent reputation throughout Glasgow and the surrounding area. 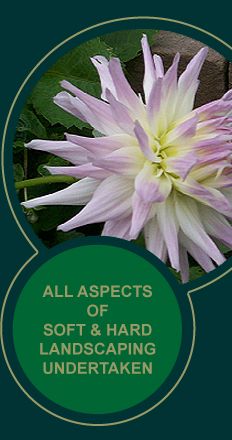 4 Season Gardens specialises in the domestic and commercial sectors of landscape gardening. Completing maintenance contracts for many domestic customers. We carry out various contracts for major car sales companies, large public house chains, making their businesses look clean tidy and professional. Maintenance plans can be devised to your budget or we can adapt to existing plans. All plant materials are carefully selected to ensure specimen quality, and all hardscape elements are installed by our experienced team. 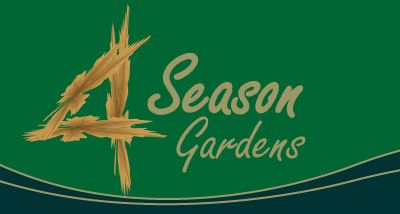 From the first consultation to the last plant in the ground, 4 Season Gardens will design an enviromentally friendly outdoor space tailored to your individual requirements. Weekly, fortnightly and monthly maintenance contacts are available dependening on your budget. We also carry out contract work on behalf of factors. 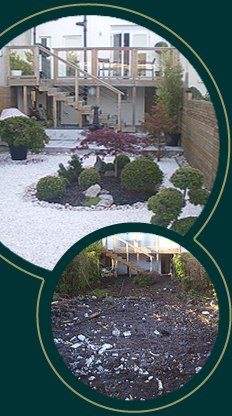 4 Season Gardens are dedicated to keeping our enviroment clean, that’s why all our green waste is recycled.